Whether your factory is small or large Redline Pest Control will customise a pest service which implements IPM (integrated pest management) that has been tailored to your pest requirements. 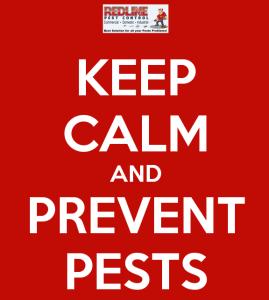 First step is calling us on (02) 9920 0790 or 0426 002 007 and making an appointment with one of our friendly customer service agents, once you have made an appointment and one of our Redline Pest Control Technician arrives he will have a chat about pest and if there is currently any pest infestations, he will get you to walk with him while he attends the premises. This way we get a better understand of your pest requirements and how to effetely eradicate pests. Each of Redline Pest Control technicians will design a tailormade pest service that suits your business, your inventory stock and what sections need more attention as that section is a potential risk. Pest do not discriminate when it comes to setting up camp at your factory, they are opportunist and will quickly invade any harbourage spots they can find. So what types of pests usually occurs in factories? Redline Pest Control is highly regarded in the pest control industry for our innovative ways on how we eradicate your pest infestations and keep them away from your place of business. Commercial Pest Control &#038; What Redline Pest Control Can Do For You!!! When it comes time for pest control in supermarkets, Redline Pest Control knows what the safety and health expectations are when treating supermarkets for pest control. We don’t just send out a technician to spray here and there, each pest spray is designed to your supermarkets pests and will not affect any produce when we carry out pest treatments to your supermarket. We understand that having a pest free environment is vital for your supermarket. Redline Pest Control we will always put your mind at ease by helping you maintain a healthy standard for your supermarket and meet the expectations of your customers. Each of Redline Pest Controls technicians are highly trained professionals and will analyse your store and come up with a customized pest package designed to address your pest needs. Each of Redline Pest Control technicians take the time to carefully inspect your facility and look for areas where pests could be gaining access into your supermarket. 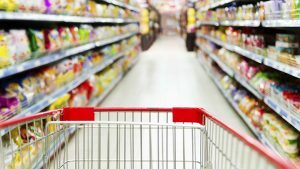 Once pests have gained entry to your supermarket, they feed on number of products such as bird seed, pet foods, pasta, grains, and fresh produce items which then could lead to contamination issues and puts your brand at risk. After we have identified the problematic areas, we will work with you to outline a pest treatment plan for a resolution and create a plan to prevent future pest issues. Redline Pest Control follows and will implement an Integrated Pest Management (IPM) so your patrons can enjoy a pest-free shopping experience, and the best part is that you can focus your attention on managing your store instead of these pesky pests. Pest Control — Once your supermarket has been quoted and you accept our quote, our technicians will schedule a service time and carry out the necessary pest control on your supermarket. 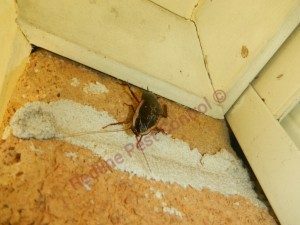 We here at Redline Pest Control understands discreteness and have very little impact on your operations as we carry out pest control once you close the doors to the public. 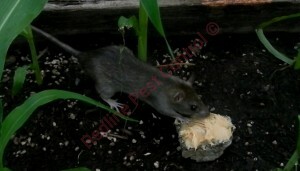 Rodent Management — Rodents carry numerous diseases which can spread easily. Each year they contaminate and destroy millions of dollars’ worth of food, property, and other goods in and around your supermarket. Bird Control — Birds such as pigeons can become a pest at your supermarket, not only do they cause damage to roofs and ventilation systems, they can also spread disease. Redline Pest Control has extensive knowledge and experience to help you eradicate your bird issues in a humane manner. Pest Free Business &#038; What You Can Do To Get Rid Of Pest! Here at Redline Pest Control we understand the importance in building relationships with our commercial clients as we pass on knowledge in how to prevent, to minimise and to eradicate pests from their commercial premises. If you are a business owner, you will know that having a regular pest treatment on your commercial premises will not only get you out of hot water with your customers and potential customers but will also keep the council away as you are doing your part in pest control. With pest infestations on commercial premises can lead to an outbreak of food poisoning, damage to stock, damage to other items in your commercial premises. The importance of pest control in commercial premises vary from industry to industry and can cause damage in different ways from stock being eaten to damage stock. What can be some of the reasons why you need to get pest control on your commercial premises. Helps you maintain your reputation as no one wants to do business with a business that is infested by pests. Business owners who run a restaurant, food business or even a warehouse where food products are being stored need to know that local council and state regulations require you to ensure that your premises are pest-free. Failure to do so can attract huge fines. In severe cases, the government may also shut down your business. Power of social media these days says a lot and can bring a business who is thriving down to a stop all because a customer has seen pests. When a customer gets sick because of the poor hygiene conditions that result in pest infestations, they can easily take legal action against your food business causing you a loss of reputation and be out of pocket a lot more than what it would of cost you to carry out pest control on your commercial premises. What industries do Redline Pest Control cater to? Since we started operating back in 2010 we have been very fortunate to provide pest control for the following commercial premises. 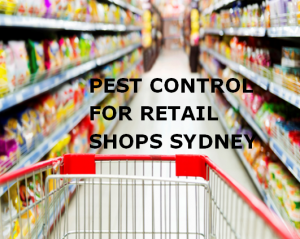 What Type of pests do we treat for commercial pest control Sydney? 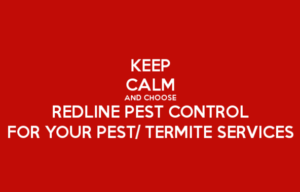 Redline Pest Control will ask and listen to your pests requirements and will tailor make you a pests service that will eradicate your pests issue. Giant rodents eats 3 month old baby girl. It really saddens me when I think of how a mother could take one of her two twins out to a nightclub while the other twin is at home all alone while been eaten alive by rodents. Even though this has not happened in Australia we still have a duty of care to protect our own children and other misfortunate adults. What are some ways that you can protect your premises from rodents taking up a nice cozy spot in your humble abode. 1) Remove any debris which is on or around your home as rodents love to hide in the debris as it gives them shelter. 2) Put all rubbish from inside out each day and always make sure that your council bin is secure and away from the entry points of your home. 3) After your pet has finished eating and drinking put their food bowl and water bowl away. 4) Cut all shrubs, vines and tree branches that are over hanging on your home, by doing this you will take away their run paths. 5) Inspections both internally and externally to see if there are any holes or gaps which will need to be sealed as these holes or gaps are entry points for rodents. 6) Make sure that after each meal you clean up so there is no food source for rodents. If you are having issues with rodents you should always contact a professional who will use the appropriate rodent bait and will install rodent bait boxes where needed. If you would like to see the article please click on the link below. As a business owner we all know the stress that comes with owning a business. The last thing that is on our minds after a 15 hour day is pests and the havoc that they can cause. In an ideal world we would love for pests to disappear rather than multiply. What is your responsibility when it comes to pest control in a food premises? 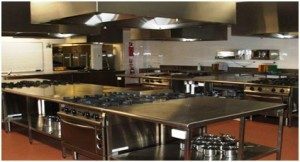 As soon as you see any pest in your food business you must always contact a trusted pest controller who will provide you with not only a pest service which eliminates pest but also provides an appropriate pest management program. It is by Australian standards that anyone in the food sector is to not only be trained in safe food handling but also must be on a pest management program which controls the threshold level of pests that enter your premises. So you have this beautiful restaurant with beautiful food in a great part of Sydney don’t ruin it by letting pests take over and scare your customers away. We often get calls from commercial clients who have tried doing pest control on their own or with someone who was cheap but didn’t know what they were doing and they were still experiencing pests. What are some risk that is associated with pests entering your food premises? When Redline Pest Control comes out to your commercial premises the technician will always ask you questions regarding what pests you are seeing and where you are seeing those pests, the technician will get you to walk around with them and show them where the problematic areas are. Each Redline Pest Control technician will discuss the method of treatment that is to be carried out on your premises and will advise you on what you need to do in order to reduce the risk of pest infestations in the future. Redline Pest Control doesn’t just provide pest control but will always be available for you at any time of the day and night if needed. We will provide you with helpful hints and if there is a pest that you can get rid of on your own will advise you of the method of treatment, not only does this save you money but it also builds our working relationship with trust that we are not just there to take your money and run. Pest Free Business & What You Can Do To Get Rid Of Pest! What services does Redline Pest Control Offer? Good Pest Control For Your Commercial Business! Commercial Pest Control & What Redline Pest Control Can Do For You!!! Three things Rodents love about your home. When we talk about rodents to our clients some are often confused as most people don’t associate the word rodents with mice and rats. Rodents also include hamsters, Guinea pigs, porcupines, prairie dogs and beavers. So why did rodents pick my home? When we think about the reasons people get rodents we start to wonder how dirty people are. That is not the case though. 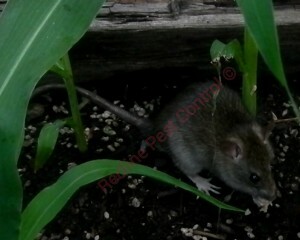 We get calls all the time from clients who has rodent issues and they have the cleanest homes. Where there is warmth, shelter and a food source rodents can pop up in anyone’s home. Pet food, pet waste, bird aviaries, heavy foliage, and bird feeders are all attractants for rodents. Rodents love to set up their nest in warm environments. Rodents love to have adequate shelter so they can reproduce and have somewhere to sleep. Having a food source can lead rodents to enter your home, garbage, pet food, pet poop that hasn’t been cleaned up, high vegetation, cleaning up bird aviaries, if you have fruit trees pick up rotting fruit, removing water sources such as pet bowls, bird baths and other sources that you may have. What can you do to prevent rodents? Go around the outside of your home cut down any trees which are overhanging on your property, get into the garden and prune any shrubs and vegetation. After you feed your pet pick up their bowl and wash it, at the end of the day put your pets water away. Take your bin out at the end of each day. Wash up, sweep/mop floors and wipe benches down each day. Seal any cracks and crevices in and around your home. Remove any debris around your home so there is no hiding spaces for rodents. 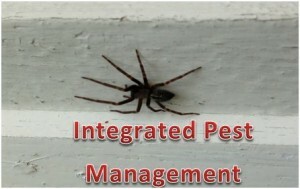 What is the Integrated Pest Management and how can you implement this system in your home. As a business owner we all know the stress that comes with owing a business. The last thing that is on our minds after a 15 hour day is pest and the havoc that they can cause. What is our responsibility when it comes to pest control in a food premises? So you have this beautiful restaurant with beautiful food in a great part town but one thing is lurking over your head. The dreaded rat runs over your customers table with a loud screech there is sudden uproar in your restaurant with customers all scrambling around in panic. Not only are you going to suffer from income loss from customers not dining at your restaurant but you could potentially unintentionally poison your customers from the faeces and urine that rats and cockroaches leave behind. These days the council is pretty much going to each and every food premises often surprising food business owners with inspections for pest and cleanliness. If you are one of these food premises you could leave yourself wide open for hefty fines, prosecution and being place on the NSW Food Authority Website where everyone has access to see anyone who has been fined. Food operators must also know that going with the cheapest quote will not always mean that your pest issues will be handled correctly and efficiently. We all love getting with our friends sharing laughs while we dine at our favourite places to eat whether it is the local restaurant, pub, take away that swanky upmarket bar. Do we really know what is lurking behind the doors of these places that we frequent? Are you a business owner and finding it difficult to gain control over pest which are lurking around like they own the joint? Redline Pest Control deals with all pests regardless if they are big or small and will find a solution which is suited to the needs of your food premises. What sets Redline Pest Control apart from other pest control companies? Redline Pest Control uses the Integrated Pest Management. What is the Integrated Pest Management? The Integrated Pest Management is a system that Redline Pest Control uses in order to carry out and maintain a pest free business. Inspection – A thorough inspection of your business premises will be conducted even in those areas which don’t have any pest issues. Identification – Will correctly identify any pests which are lurking around in your business. Threshold Levels – To establish the threshold levels of all pests which are in your business. Control Measures – To control and manage all pests which are in your business. Evaluation – Each technician will evaluate the effectiveness of our service which we have applied to your business to make sure that we have eradicated and eliminate all pests which are in your business. So let’s take a minute to talk about what can happen if you do not have any pest maintenance programs in place. I have a client who has a chain of restaurants who thought he could tackle a cockroach and rodent problem on his own. He would place baits and spray the restaurants before he closed for the night just using everyday fly spray that you get over the counter at your local grocery shop. While at first that may of provided temporary relief it wasn’t getting rid of the pest issue. It wasn’t until the council came into one of his restaurants and fined him for fail to take practicable measures to eradicate and prevent the harbourage of pests that he realised that he needed help in eradicating the rodents and cockroaches. It is vital for anyone who has a food business to always have a pest management service in place and to always maintain that pest maintenance service to avoid pest from entering your food business. Other than copping a fine from the council what else can go wrong if pest are not eradicated? You definitely don’t want your customers to fall sick or die eating your food. Yes, I know you are probably thinking she is so dramatic as if anyone is going to get sick or die from eating our food but trust me it does happen. With pest comes diseases and with diseases comes sickness and in some cases death. 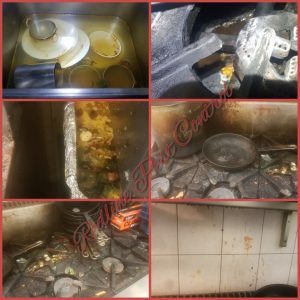 Cockroaches, rodents and other pest will always contaminate food, prepping stations, utensils, pots and pans by running over it or soiling it with their waste. Once being fined from the council they will give your company details to the NSW Food Authority and they will then place your details on their name and shame section on their website. You’re on the name and shame so what, what could go wrong? Its only a website. Nobody checks it. Well you are wrong, many people have subscribed to the name and shame and will check it to see if their favourite restaurant is listed on there for any issues before heading out. Once being placed on the register every potential customer will be able to see what it is exactly that you have been fined for and when you were fined. Loss of reputation could ruin your business. 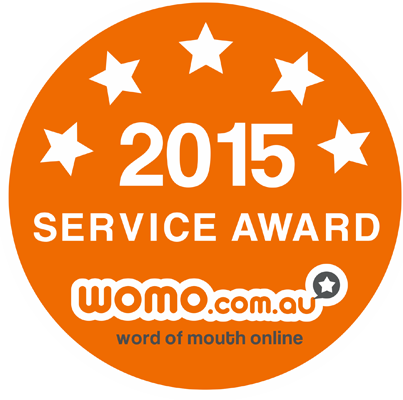 Word of mouth resulting in a loss of business resulting in you closing your doors for good. Do you have pests in your commercial business whether you have a business in the food industry or maybe a warehouse with your stock is being eaten or has bird issues? When it comes to pest in your commercial business whether they are cockroaches, birds, rodents or other pests it is important to make sure that you get on to the issue quickly as these pest can cause havoc and bring diseases to your products and can affect not only your employees but also your future customers. These days with the internet being handy on our phones it is easy for potential customers to do a quick Google search to see if your company has bad reviews or pest issues. With the Australian Food Authority now having the name and shame section on their website it is making it more difficult for food industry companies to hide their pest issues from the public. What are somethings you can do around your commercial business that will help eliminate pest? Commercial Pest Control & What Redline Pest Control Can Do For You!! !